Racking for a mobile police unit Mobile police units are responsible for control operations in the local area. This page shows a Syncro System racking solution for a Punto Van operated by a local police station. 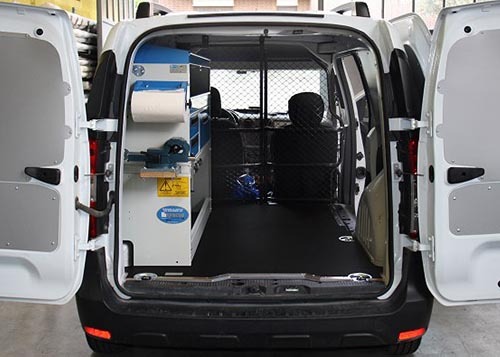 Upfit for a cleaning business If you run a small or medium enterprise that provides industrial cleaning services, you know just how important your van is. You are always on the move and have to take everything like brushes, mops, floor cleaners, cloths and detergents with you. So space is at a premium. Click here to see photos of a van upfit customised for a cleaning business. Racking for a shop refurbishing company Go to this page to see a van racking system for a company that refurbishes and services furnishings and building systems for small, medium and large stores. Racking for packaging machine technicians Installing, servicing and repairing packaging machines requires a high level of logistic and technical support. 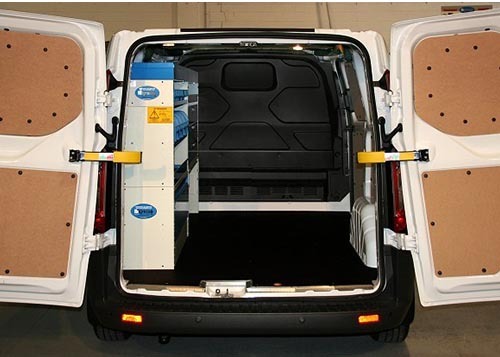 Look here to see a Syncro System racking solution installed in an Opel Vivaro. 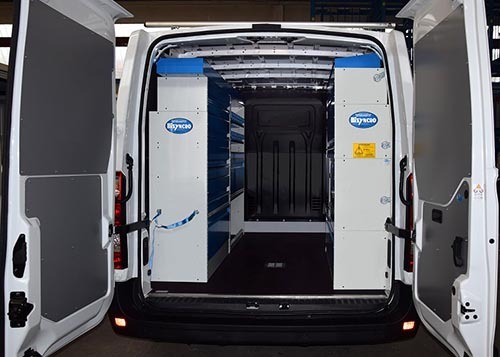 Racking for sheet metal forming machine technicians Look here to see a Renault Master with a Syncro System upfit for a company that installs sheet metal processing machines. 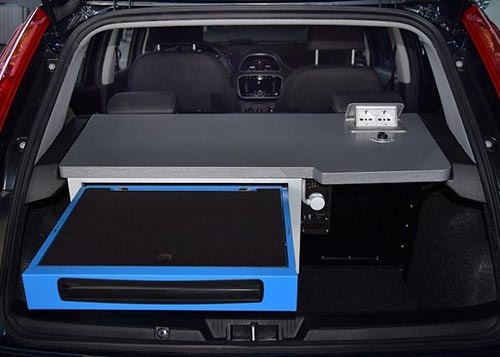 The upfit comes complete with cargo bars, a multi-purpose mobile trolley, storage cabinets and accessories. 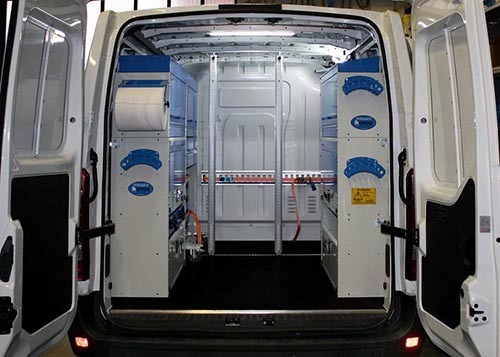 Racking for liquid liquid metering and dispensing technicians Have a look at this page to see a van equipped by Syncro for a company specialising in installing and commissioning liquid and fluid metering systems. 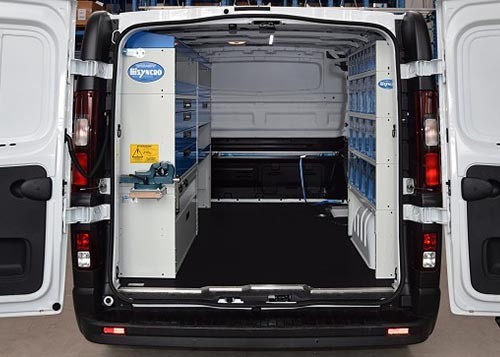 Syncro System racking solutions in vans operated by service providers. Examples with photos.